One Spacious Apartment In Jhs. Amazing Investors' Opportunity. 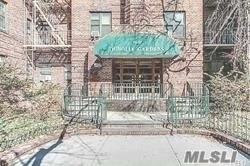 Dunolly Gardens Is One Of The Last Great Pre-World War Ii Building Complexes In Queens. 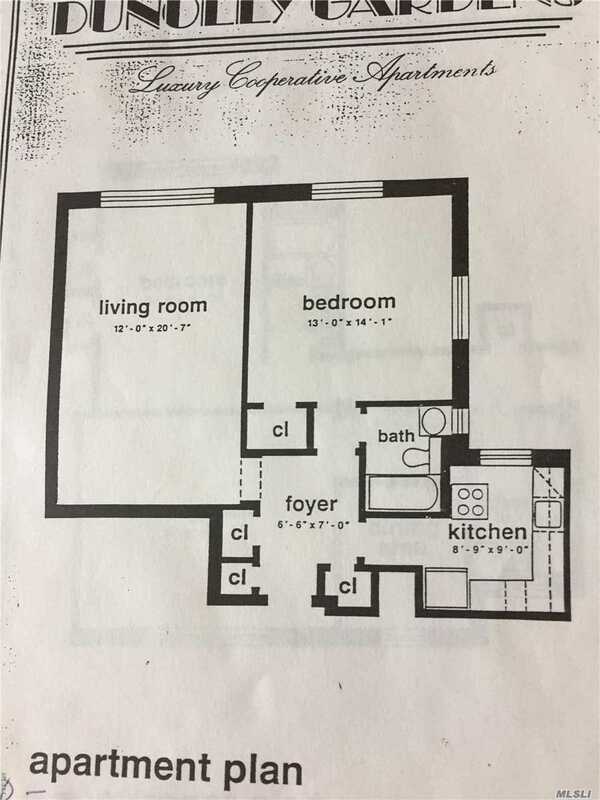 Entry Foyer, Living Room/ Dining Room, Kitchen/Bath With Window, Four Closets. 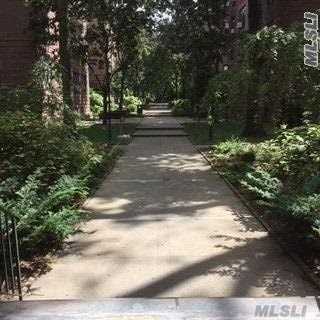 Historic District Of Jackson Heights, All: E, F, R, M, # 7 Train, Express Bus To Manhattan, To Airports. Must See! Call To View This Beautiful Property! Great Investment! No Flip Tax, Storage! 1 Bedrooms, Living Room, Eik, Fullba. Tenant.